Francine here! 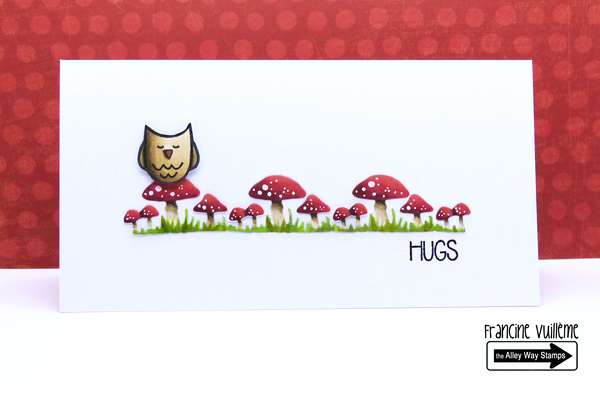 Today, I share a card using the February freebie stamp set Moosing you. This little owl is so cute. The mushrooms are a die-cut that I colored with Copic markers. Hello! Emily here. 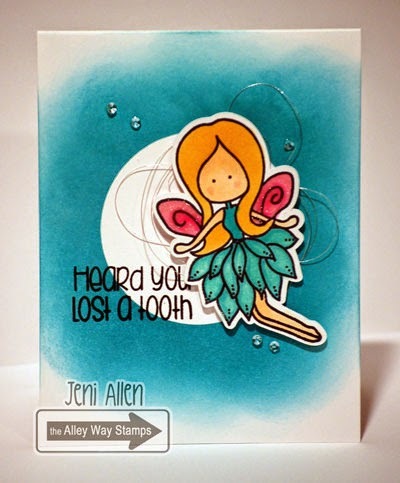 Today i'm sharing a card using Branching Out and Calypso. I used an inlay wreath as a background for my red birds. The sentiment is from Calypso set. Hello friends! Jeni here, I have so many little friends that are loosing teeth right now, I just LOVE this cute Tootharina set!! She has brought such joy to so many little girls lately, I think she is splendid!! She is of course sparkly and shiny, a must for a fairy, don't you think!? Hi everyone! Simonne here with a card using the cute owl from Moosing You, together with one of the sentiments and one of the trees (as a branch) from Branching Out. Don't forget that you can grab Moosing You for FREE when you spend $40 or more before shipping this month! Hello! It's Tracy here with a card combining the Branching Out and Stumped sets. 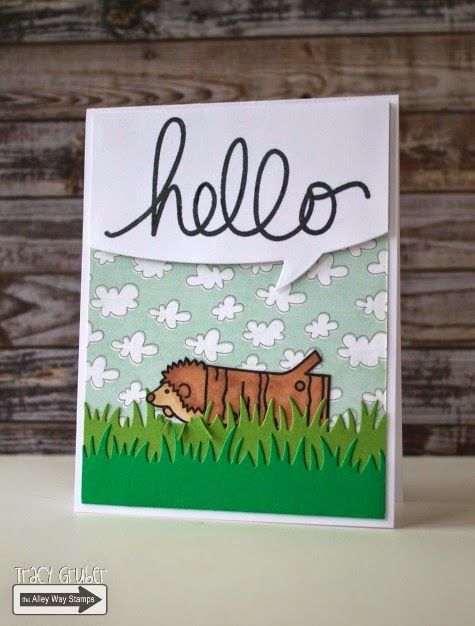 I wanted it to look as though the hedgehog was peeking out of the stump and saying "hello!" Hi everyone.. It's Holly here and I have a fun watercolor project for you using the new set Branching out. I also used a sentiment from Nessie & Moosing You! I'm surrounded by snow and I mean a lot of snow so I thought I'd turn the trees into a evening winter scene. fabulous cards--my faves are the birds with the wreath and the owl with the night sky.